Some of Intel’s data centre customers, whose thousands of computers run cloud networks, are exploring using microchips from the market leader's rivals to build new infrastructure after the discovery of security flaws affecting most chips. 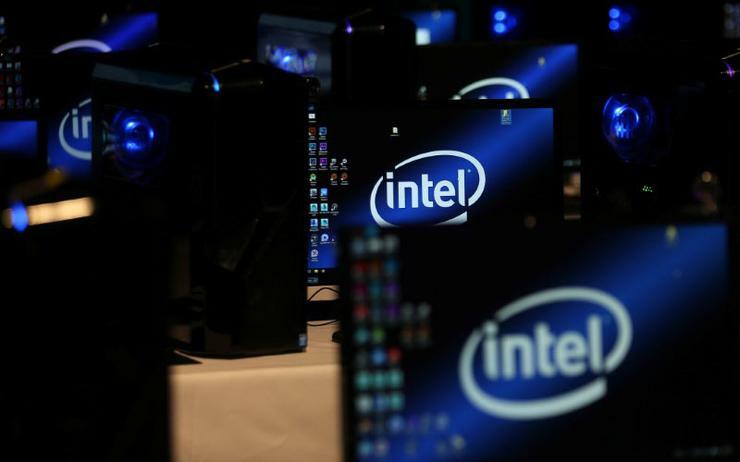 Whether Intel sees a slew of defectors or is forced to offer discounts, the company could take a hit to one of its fastest growing business units. Intel chips back 98 per cent of data centre operations, according to industry consultancy IDC. Intel will help customers find the best approach in terms of security, performance and compatibility, it said in a statement on Tuesday. "For many customers, the performance element is foremost, and we are sharply focussed on doing all we can to ensure that we meet their expectations." Alternatives include Advanced Micro Devices, which shares with Intel a chip architecture called x86, or chips based on technology from ARM Holdings or graphics processing chips, which were developed for different tasks than Intel and AMD's central processing units, or CPUs. "If ARM provides enough computing power at lower cost or lower power than x86, it would be a strong incentive for us to switch," said Budman. "If the fix for x86 results in a dramatically decreased level of performance, that might increasingly push in favour of switching to ARM." Infinitely Virtual, a Los Angeles-based cloud computing vendor, is counting on Intel to replace equipment or offer a rebate to make up for the loss in computing power, CEO Adam Stern said in an interview. Nvidia’s so-called graphical processing units, or GPUs, are not a direct replacement for Intel's CPUs, but they are taking over the CPU's role for new types of work like image recognition and speech recognition. Last March, Microsoft committed to using ARM processors for its Azure cloud service, and in December, Microsoft Azure deployed Advanced Micro Devices processors in its data centres. Alphabet’s Google said in 2016 that it was designing a server based on IBM’s Power9 processor. And Amazon’s Amazon Web Services chose AMD graphics processing units for a graphics design service announced in September. Both Qualcomm and Cavium are developing ARM chips aimed at data centres. Cavium said it aimed to rival the performance of Intel chips for applications like databases and the content-delivery networks that help speed things like how fast online videos load. Cavium is working with Microsoft and "several other cloud" vendors, said Gopal Hegde, vice president of the data centre processor group. Cavium and ARM rival Qualcomm work together to reduce the amount of software that has to be rewritten for ARM chips.